This six pack offers unique hand-made gourmet pastry treats that are sure to please anytime of the year. These 22 oz. Kringles are available in in five flavor choices. 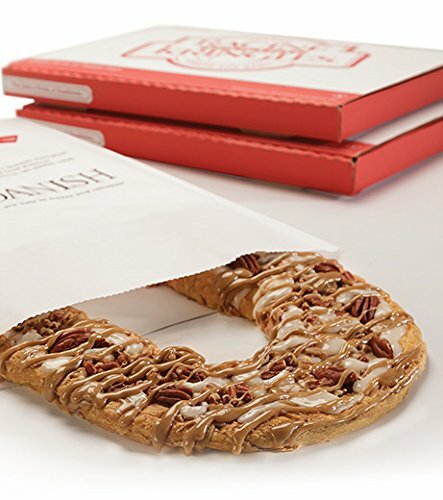 Each Kringle is packaged in individual boxes ready for easy gift giving. These are the perfect gift for family and friends and a top choice business gift for clients and coworkers. If you have any questions about this product by Racine Danish Kringles, contact us by completing and submitting the form below. If you are looking for a specif part number, please include it with your message.